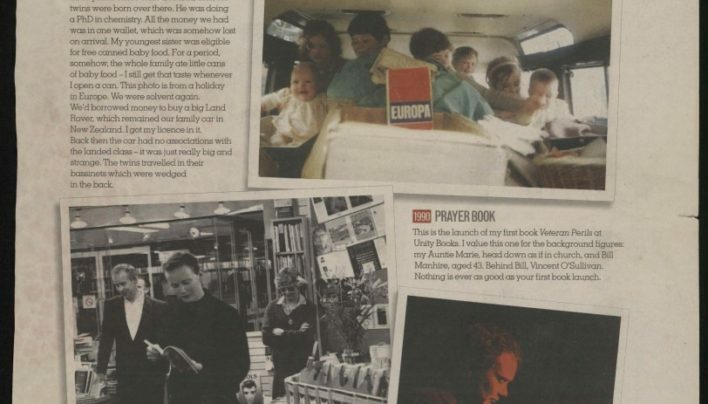 Your Weekend profiles Damien Wilkins by way of publishing some “family” photos, including one of his first book launch – for Veteran Perils (Penguin Books) – at Unity Books. 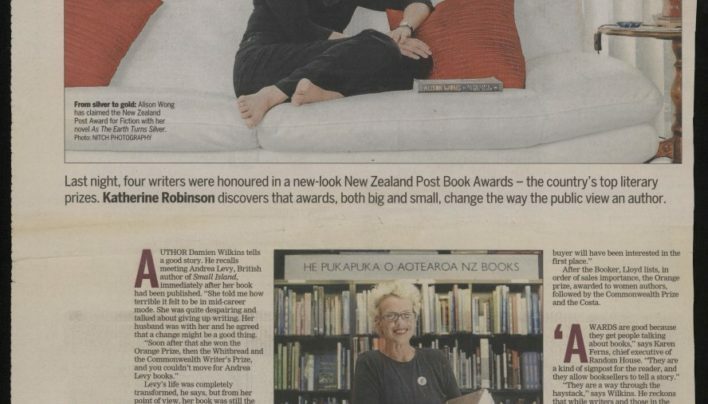 An extract from Marilyn Duckworth’s Janet Frame lecture, accompanied by an advertisement for the shop, in the Winter 2012 issue of New Zealand Books. 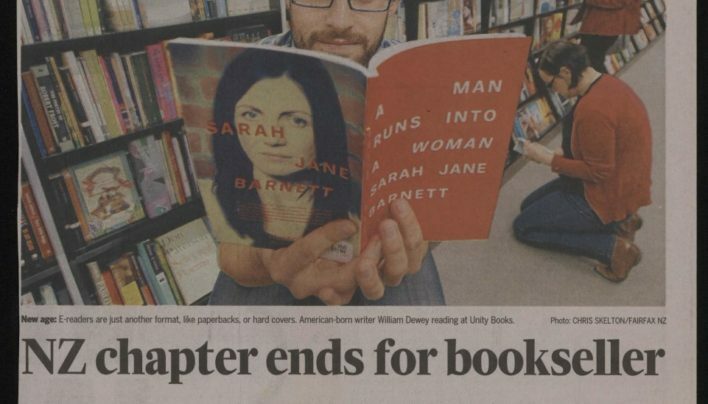 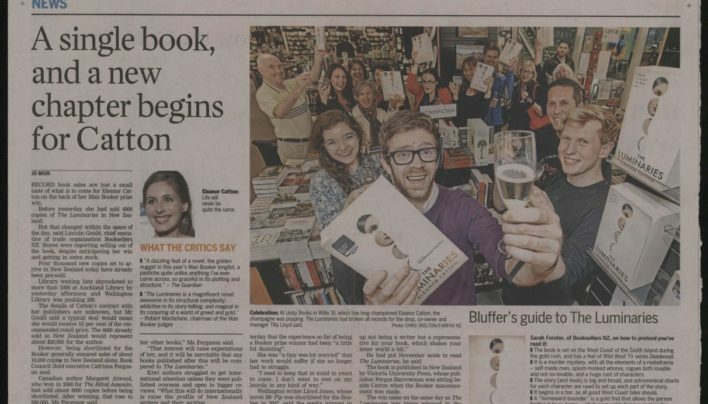 An article about the withdrawal of Dymocks booksellers from New Zealand. 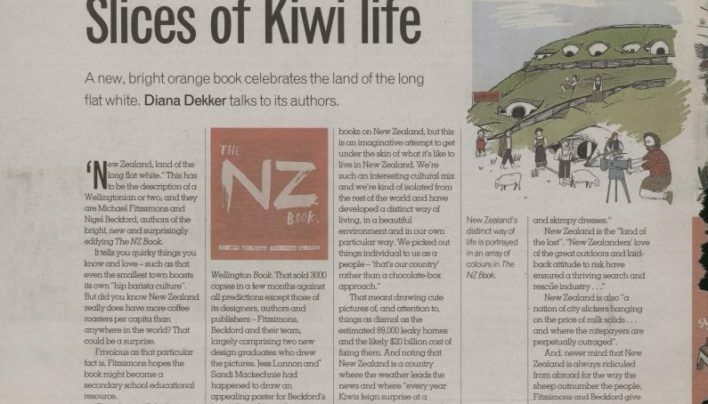 Diana Dekker reviews The NZ Book by Michael Fitzsimons, Nigel Beckford, Jess Lunnon & Sandi McKechnie (Fitzbeck Publishing). 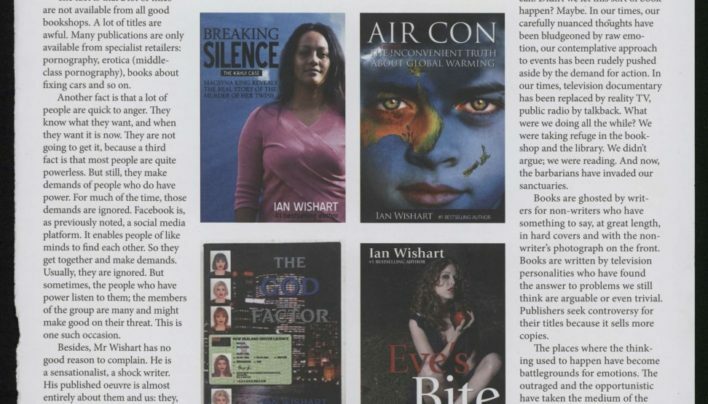 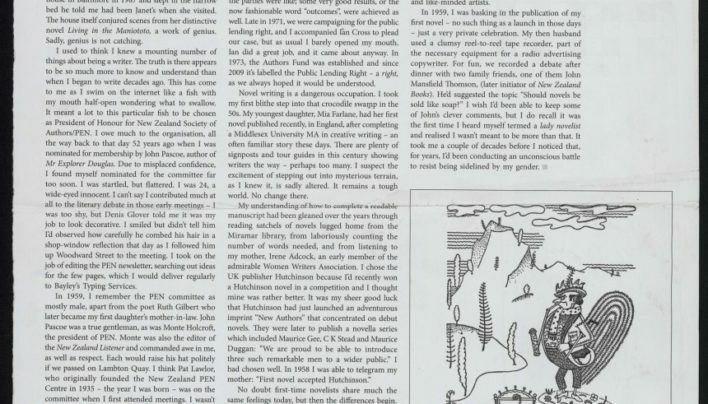 Articles about the controversy surrounding the publication of Breaking Silence: The Kahui Case by Ian Wishart (Howling at the Moon), which many bookshops declined to stock. 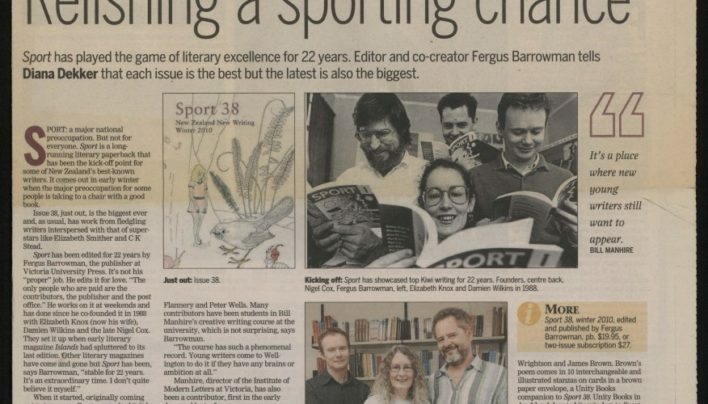 The Dominion Post reports on the 22nd year of Sport magazine. 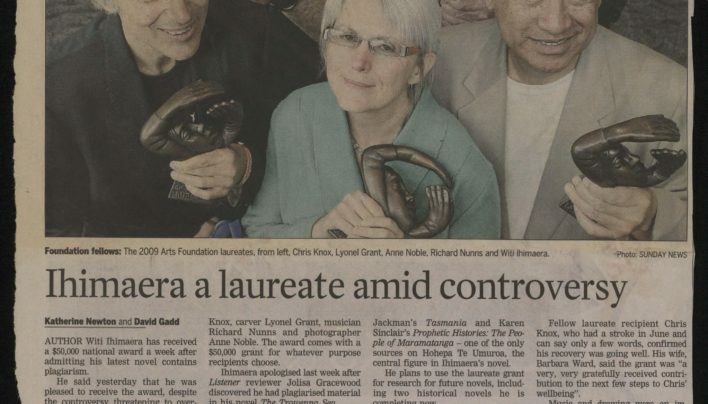 Author Witi Ihimaera was honoured for his life’s work in literature with an Arts Foundation Laureateship in 2009, shortly after admitting plagiarism in his novel The Trowenna Sea (Penguin Books)…. 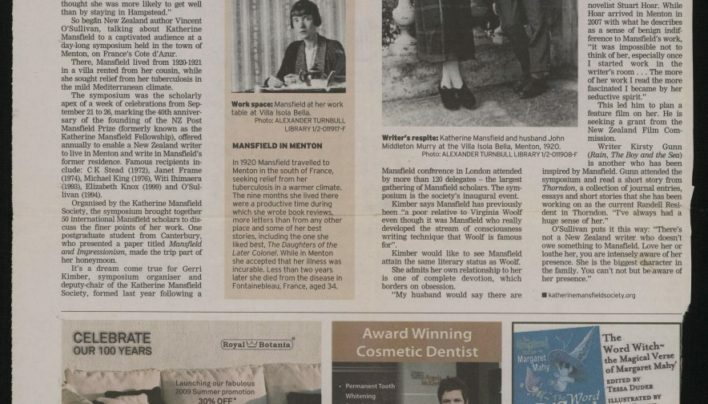 An article about Katherine Mansfield and her legacy.